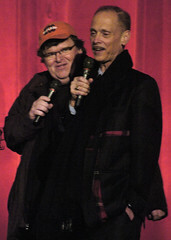 The second day of the Traverse City Comedy Arts Festival featured some big name comedians: John Waters, Whitney Cummings, Jeff Garlin, Mike Burbiglia, John Waters and Roseanne Barr. 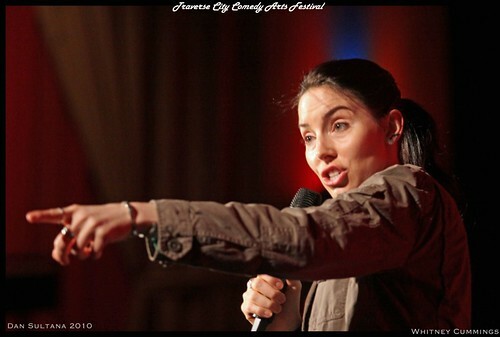 Check out the Traverse City Comedy Festival slideshow on Flickr to see them in action. 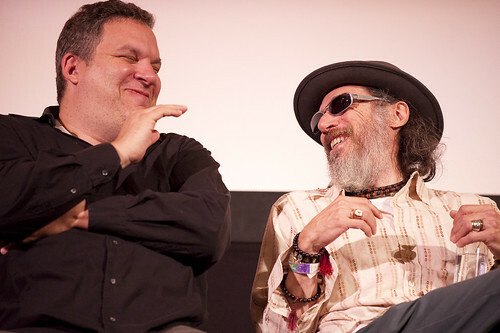 I got to sit in on an interview with Jeff Garlin and Whitney Cummings. When asked if there would be a year two for the Comedy Fest, Jeff said “All the shows are sold out – of course” and leaked a few details on next year’s festival including a Thursday night opening party and headliner. Whitney noted that unlike a lot of other comedy festivals, this one seems a lot less geared to agents and their blackberries and more about comedians and comedy. The festival started with a bang with the Opening Party at the City Opera House. It was well attended (with tasty food) and from there, folks rolled into shows from Mike Toomey (above) Whitney Cummings, Jeff Garlin and others. 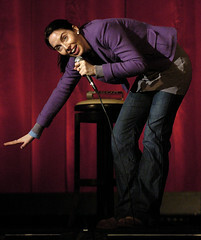 Get all the details from Beth Milligan on the Official Comedy Fest blog. 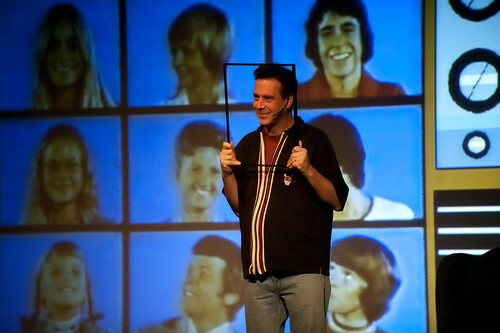 Here’s a few photos from yesterday in the Traverse City Comedy Festival slideshow on Flickr.